BOOK NOTATION: The Everdeen referenced is the same family that founded Bachelors Grove cemetery, which was previously called Everdons cemetery. The spelling of the name includes small variations such as Everden, Everdon, Everdin and Everton. Everdon is the most common spelling found within documentation, hence the reason for the spelling to Everdon Woods. 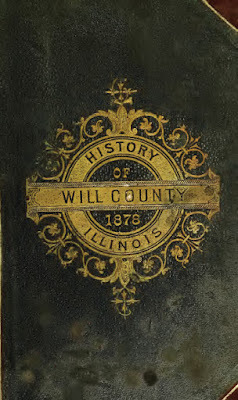 It is said that Butterfield built the first house in the present township (of Lockport), and that a Mr. Everden built the first house on the town plat in 1831, little dreaming that he was beginning to found a city. In one of the latter a man had lived for a time, named Everdeen, but had moved to Bachelor's Grove. There are some who accredit the man Everdeen as the first settler in Lockport Township, but we have been unable to learn anything very definite concerning him, and, from information received from other sources, are of the opinion that he was not the first settler in the town at all. He moved to Bachelor's Grove, in Cook County, but what further became of him we do not know. ARCHIVE NOTATION: There is some evidence that Edward Everden, founder of Everdon cemetery, later named to Bachelors Grove cemetery, may have joined the American Civil War. It is also possible that he died in the war. Further research is required.